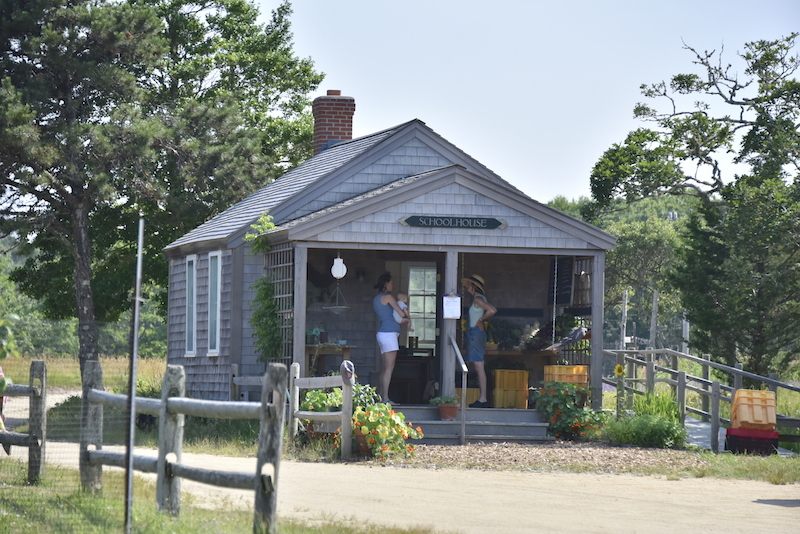 In the height of summer, when traffic congests Edgartown’s narrow streets, and the wait for the 3-car ferry can take almost an hour, getting to Chappaquiddick’s Slip Away Farm from the main island of Martha’s Vineyard is an exercise in patience and persistence. But customers of the small vegetable farm aren’t braving rush hour gridlock to pick up their produce. They are Chappy residents, grateful for the agricultural oasis on their remote, salt marsh-covered island. Whether picking up a farm share, dropping veggie scraps in the community compost bin, or just looking for a friendly chat to break up the isolation of island living, they know Lily Walter, Collins Heavener, and the farm crew will be happy to help. Lily Walter, the founder and owner of Slip Away Farm, and Collins Heavener became friends while working at Morning Glory Farm. 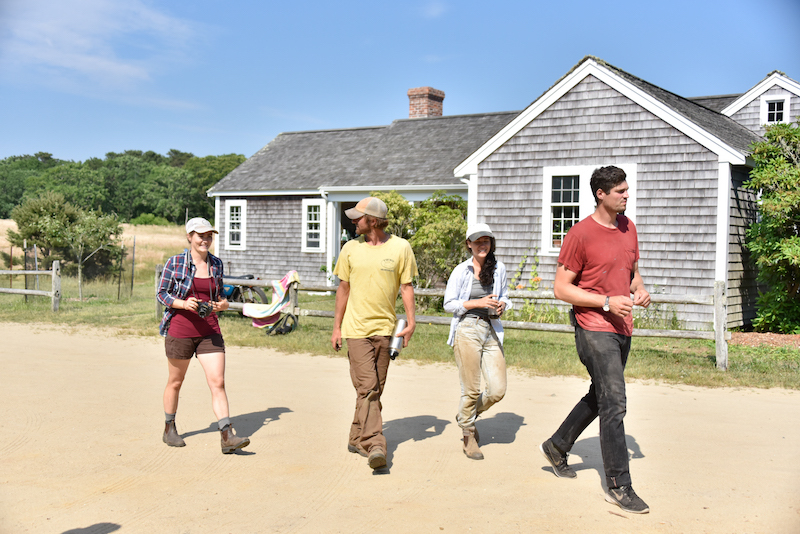 In 2012, after a few years of honing their burgeoning agricultural skills under the tutelage of the established Edgartown farm, they learned of a unique opportunity on Chappaquiddick. 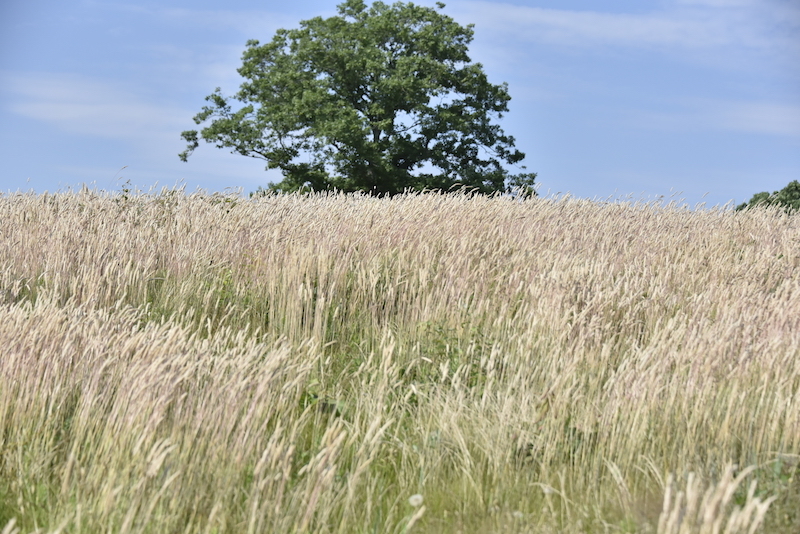 Applications were being accepted for tenant farmers on the historic Marshall Farm, a conservation property owned jointly by the Martha’s Vineyard Land Bank and the Preservation Trust. Excited to find affordable land and housing to rent, and to fill an agricultural void on the neighboring island, the friends decided to make their day jobs a lifestyle. Lily took the lead as sole proprietor of the farm, while Collins signed on to help start and grow the farm. To their credit, the young farmers did introduce themselves to their future customers in an irresistibly innovative way. They weren’t able to move into the Marshall Farm property that first year, so they leased land in Katama and used a bike trailer to haul and deliver farm shares to 10 enthusiasts of local agriculture on Chappy — their very first CSA (Community Supported Agriculture) members. They both agree that one season of bike delivery was plenty, but also that it was worth the mosquito bites and sun stroke, and digging the trailer tires out of the soft sandy back roads of Chappy. Not only did they gain name recognition from hauling the brightly painted trailer all over the island, but they also had proven themselves to be dedicated to their mission. Six years later, Slip Away Farm is an integral part of the Chappaquiddick community. The tidy wooden farm stand building was once Chappy’s one-room schoolhouse. Now its chalkboard advertises seasonal fresh vegetables, and the front porch overflows with piles of ruby red beets, golden patty pan squash, and pearly onion bunches. With a steady, organic evolution, the farm has expanded its acreage to accommodate its growing business. 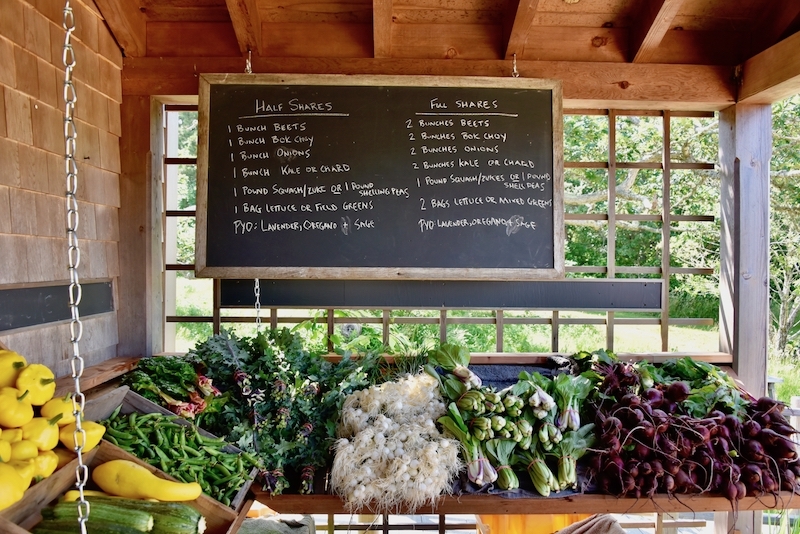 In addition to the weekly CSA distribution, the farm stand is open to the public two days a week, Lily and Collins are managers at the West Tisbury Farmer’s Market, and Slip Away is also a vendor at the market. 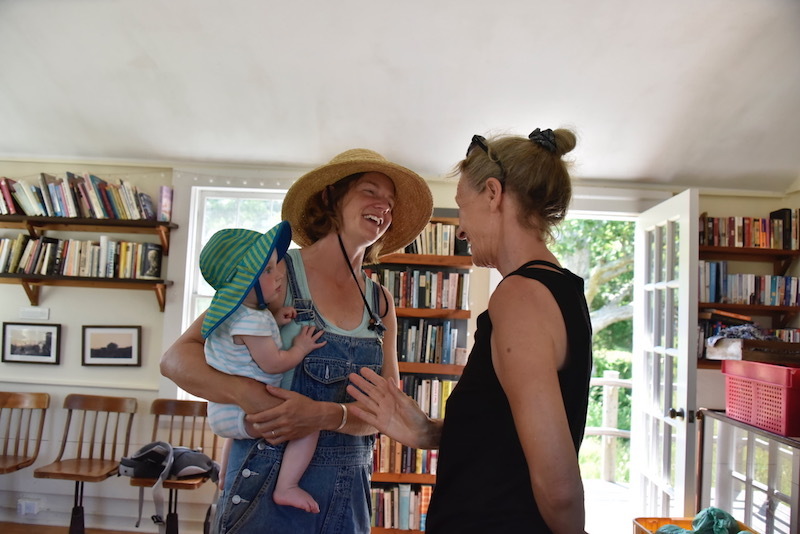 This summer, three employees work the fields and farm stand with unyielding cheerfulness: field manager Peter Kirn, Juliet Smith, and Collins’s wife, Lucy Leopold. 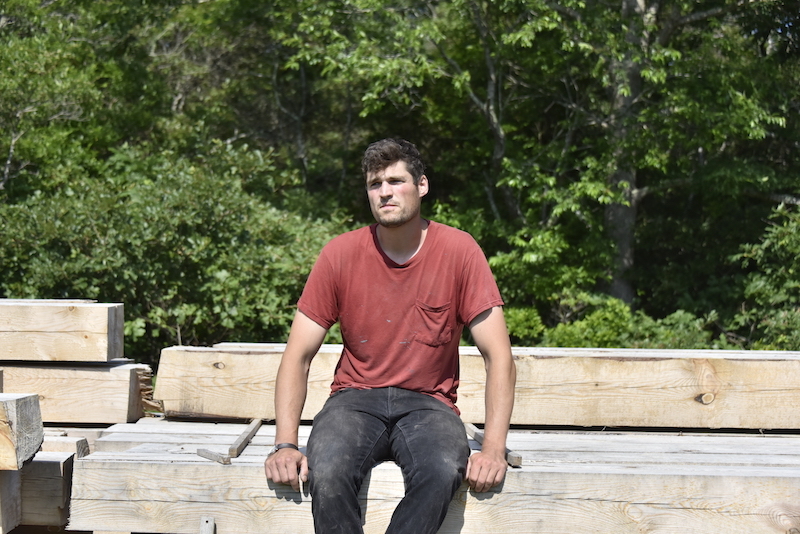 Collins continues to work three days a week at the farm while directing energy towards his own business, Marshall Farm Wood-Words. He builds custom pieces by hand in the basement of the farmhouse, where he and Lucy still live. (Slip Away Farm and Marshall Wood-Works share business space.) Just hearing about all the work he does is exhausting for a normal person. But Collins believes that working hard is the only way to express his gratitude for the community that has embraced them, and the organizations that had the foresight to acquire this land—and that now allow him to farm it like his own. As a female business owner in a male-dominated field, Lily is proud of the steady growth she's been able to foster with Slip Away—-especially now that she has a young daughter to set an example for. Though not technically on the payroll, Juna is the farmstand’s unofficial greeter, her sweet smile and clear blue eyes even more popular than the vine-ripened tomatoes. 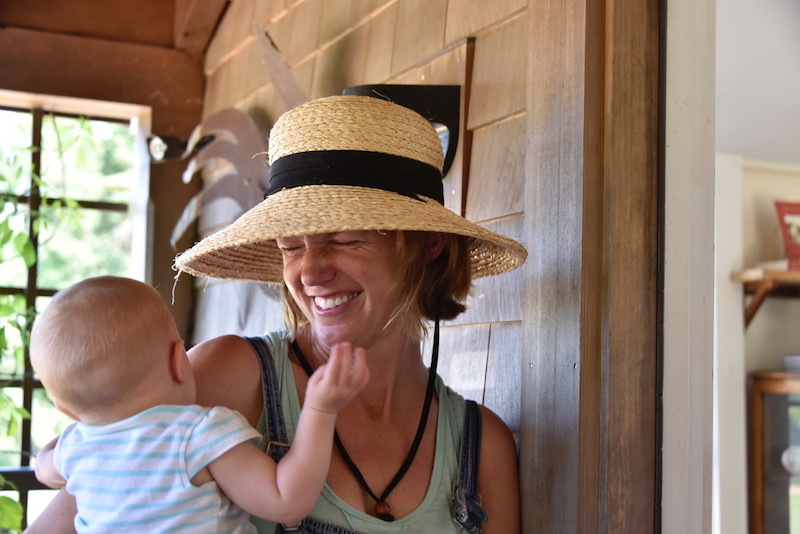 Lily, who now lives with her husband and Juna in a home near the farm, admits that farming with a baby strapped to her back is hard at times, but credits her amazing crew, and Juna’s naturally cheerful disposition, for easing her workload immeasurably. Naturally independent and hard working, she says motherhood has taught her the importance of accepting help and the joy in slowing down. Juna lets her know when it’s time to eat or rest in the shade for a spirited game of peek-a-boo. The CSA has grown to serve over 60 families, but Slip Away is still focused on maintaining that same personal service that it provided its ten original customers. Lily makes herself available on pickup days to answer questions and discuss recipe ideas. The farm even hosts a number of outdoor pizza nights for the members throughout the season. It’s a natural collaboration—agriculture and preservation. Farmers have a place to farm and the land remains undeveloped, its history coming alive in the hands of a new generation of humble, industrious Yankees. Not only is the community supporting their agriculture, but their agriculture is supporting the community right back — nourishing them with organic produce and homegrown pizza, providing a place to gather and exchange stories and ideas, and to witness a way of life that in many areas is in danger of slowly slipping away. Kate Tvelia Athearn is a writer and educator based in West Tisbury , where she lives on a small farm with her husband and two teenage sons.